It is not uncommon for Florida drivers to assume driving violations are insignificant and may be resolved by paying the fine or taking a driving safety class. Many of the driving-related offenses are serious and could lead to stiff consequences. Some may lead to license suspension, jail or prison time, or even vehicle forfeiture. If you've been charged with any type of moving violation, make sure you plead "not guilty". A Jacksonville lawyer cannot defend you if you plead "guilty." While you may need the help of an attorney for any moving violation, if you have been charged with a more serious driving offense, you need the help of a skilled criminal defense lawyer in Jacksonville. Tassone, Dreicer, & Hill offers decades of experience with the skills to defend you. If you have been accused of a serious traffic offense, call us today. During a DUI arrest, you may have your driver's license seized and suspended. The state of Florida gives authority to the law enforcement officer investigating the crime to seize your driver's license if you blow a .08 or higher OR if you refuse to take a breath test. It's important to hire a Jacksonville DUI attorney to take your case quickly if your license was seized and/or suspended. You only have 10 calendar days from the date you were arrested to challenge the suspension. A DUI lawyer will be able to request a civil administrative hearing to challenge the suspension of your license. You need a qualified attorney with plenty of experience handling civil driver's license suspension cases helping you with your case. A skilled Jacksonville DUI attorney will be able to spot any issues in your criminal court case and with the DHSMV Formal Review process. 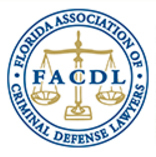 They will understand that the DUI laws in Florida are in a constant state of flux. It's common for a court decision to modify, add or subtract from the legal requirements, which could have a direct impact on your driver's license suspension. The Law Offices of Tassone, Dreicer, & Hill have extensive experience handling Formal Administrative Review hearings at the Florida DHSMV and the Bureau of Administrative Review office in Northeast Florida. We know how the procedures work and how to navigate the system. Our legal team will explore the legal issues necessary and do our best to overturn the administrative suspension for you. We specialize in DUI litigation and have hundreds of cases under our belts. When you hire Tassone, Dreicer, & Hill, you will gain a legal team with decades of experience and success. Whether it's your first DUI arrest or you've been arrested before, we will work hard throughout the entire process and provide you with quality representation. If you've been arrested for a DUI, it's time to put us to work. Contact The Law Offices of Tassone, Dreicer & Hill today or call us at 904-396-3344 and find out how we can help with your DUI case.